Simply charming! 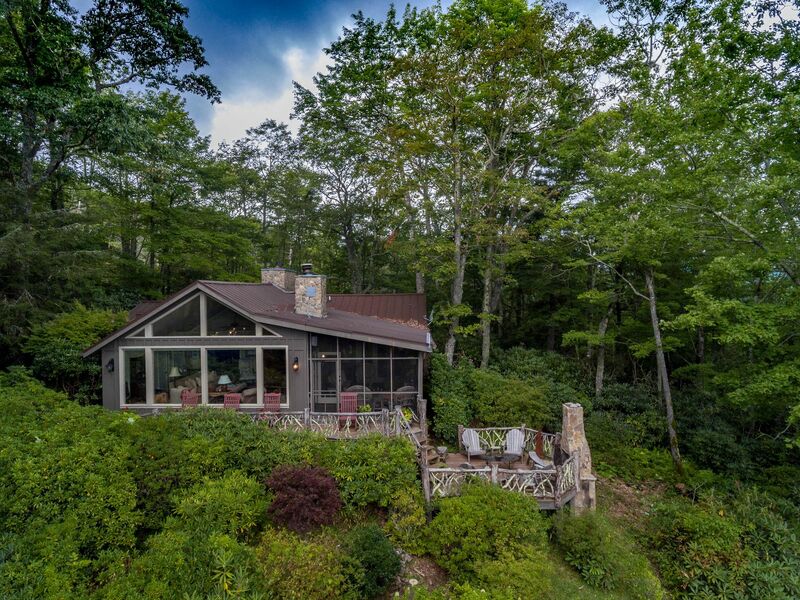 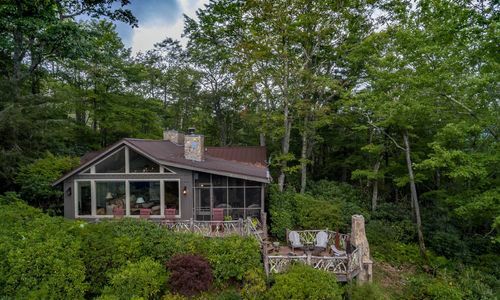 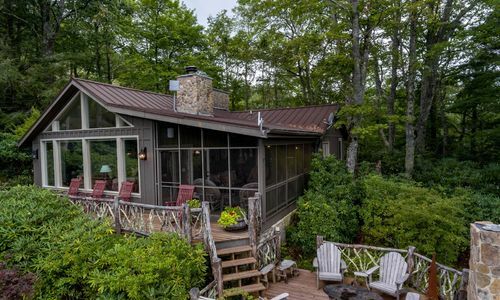 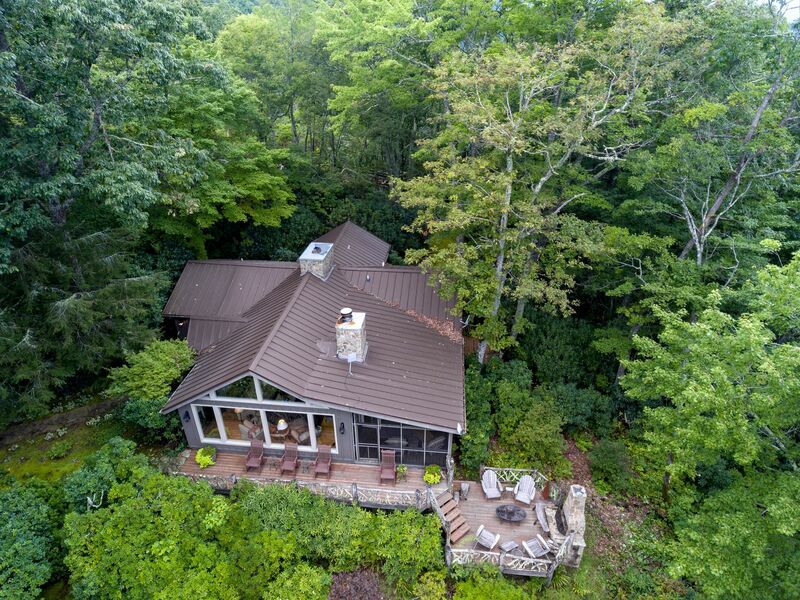 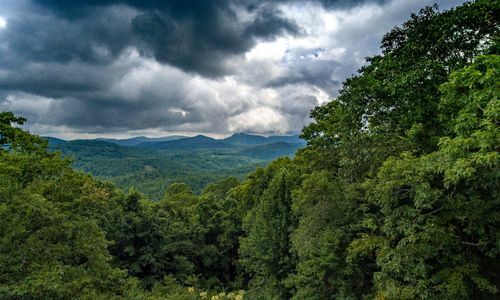 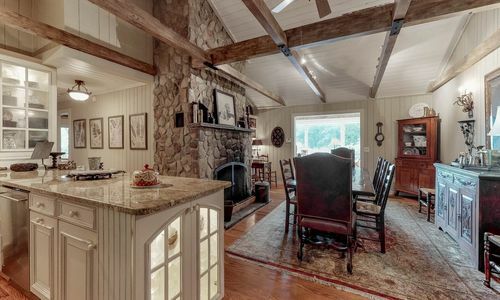 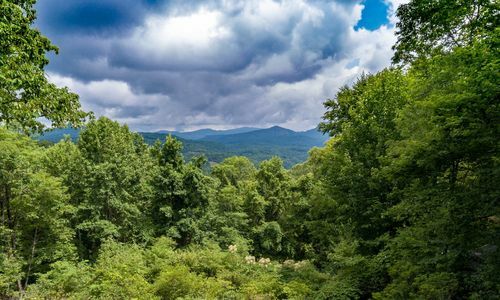 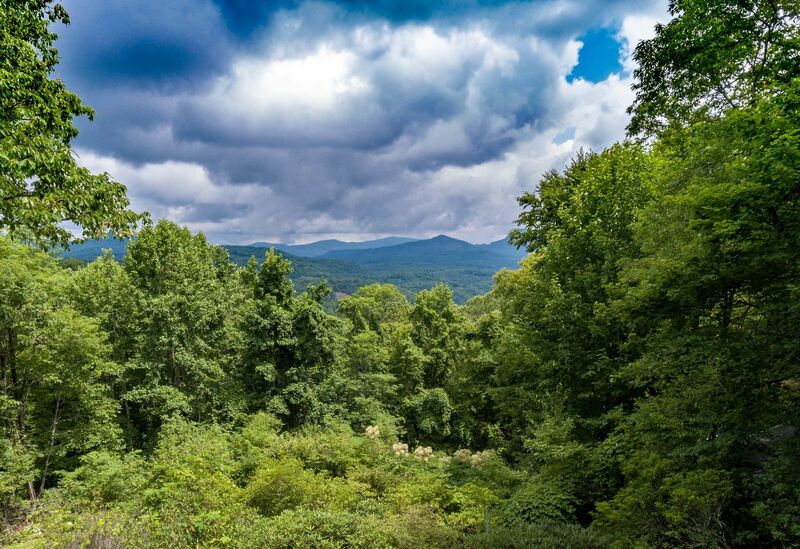 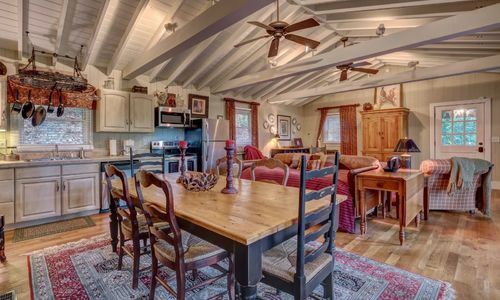 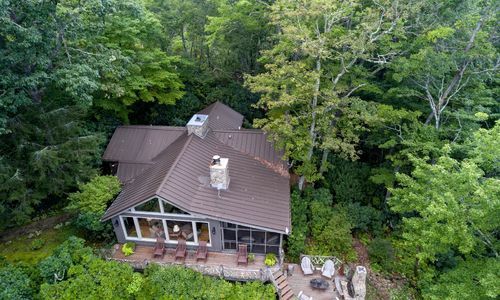 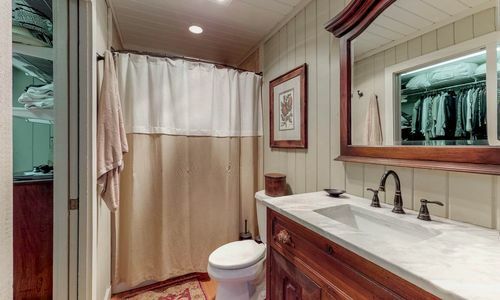 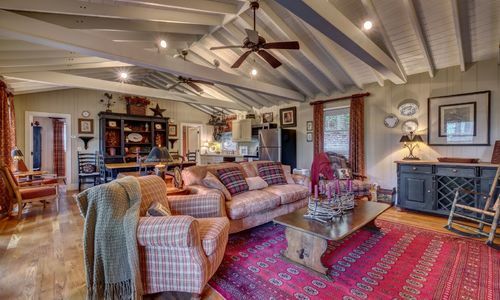 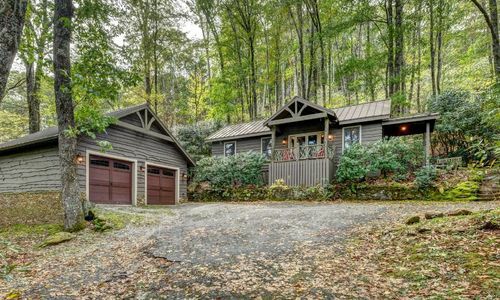 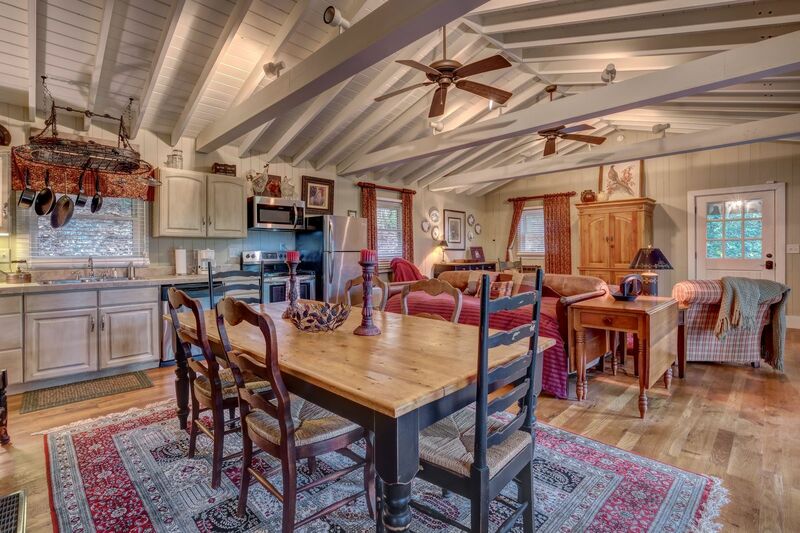 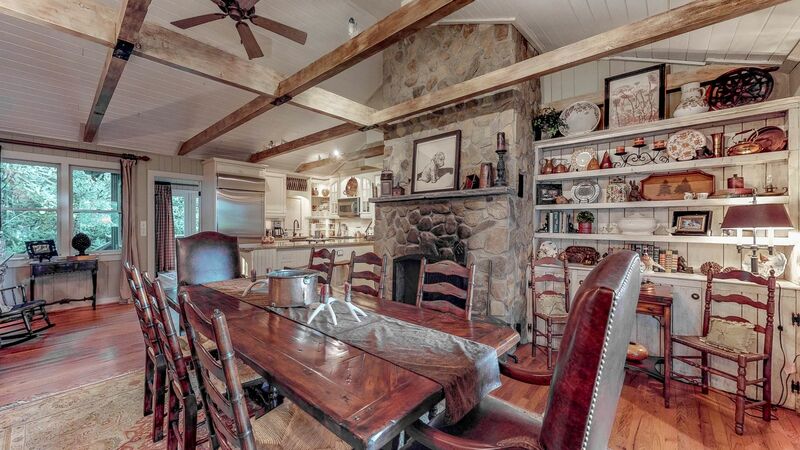 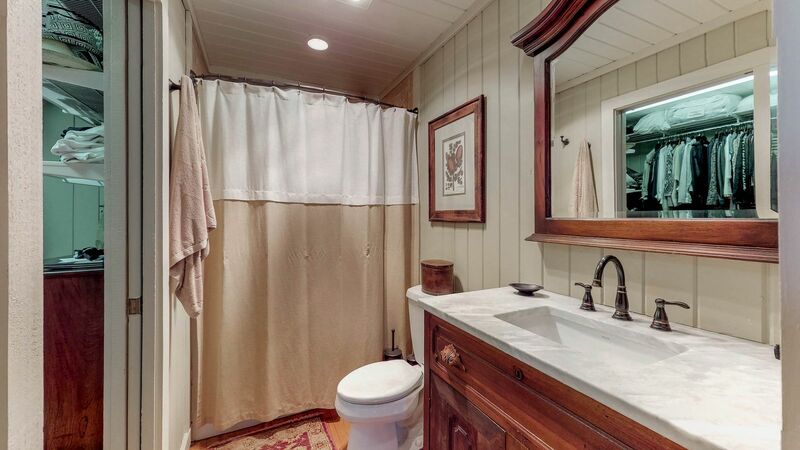 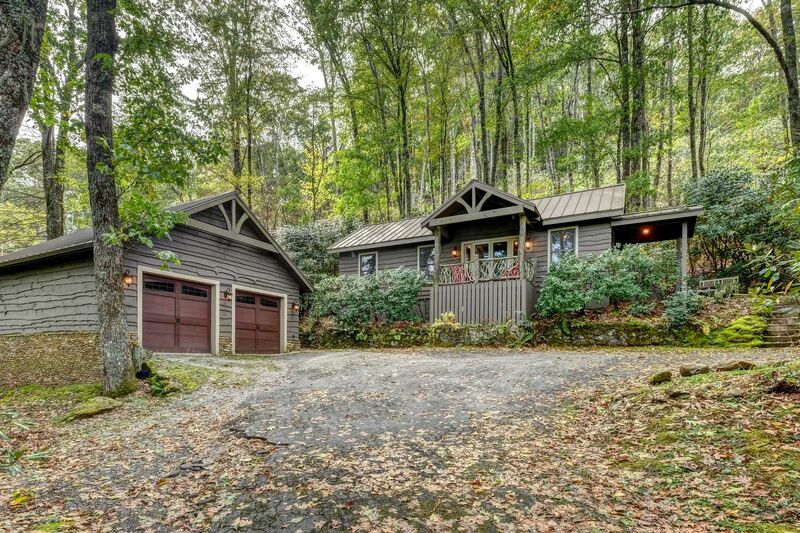 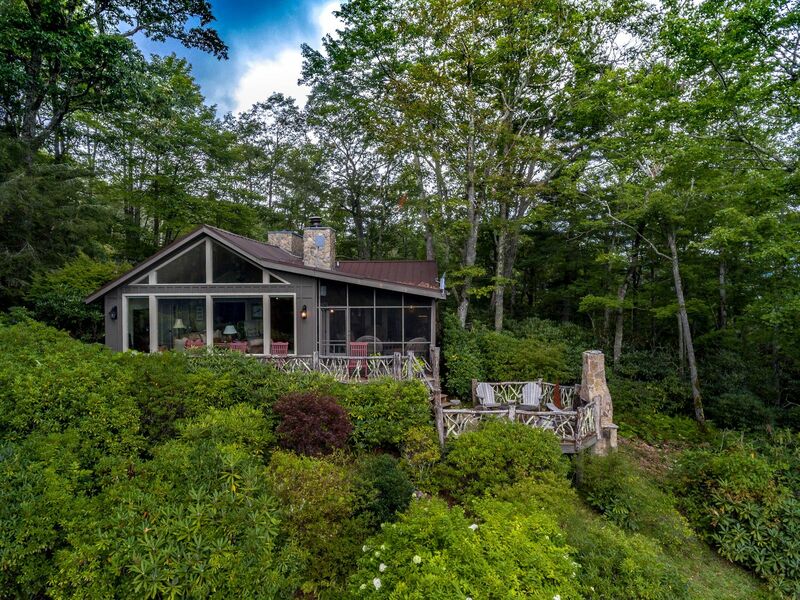 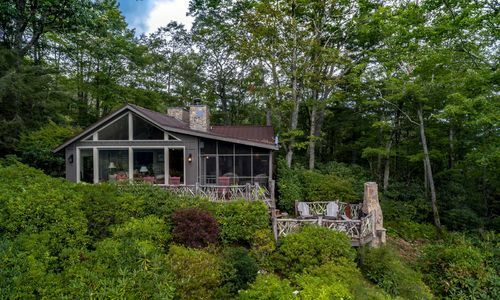 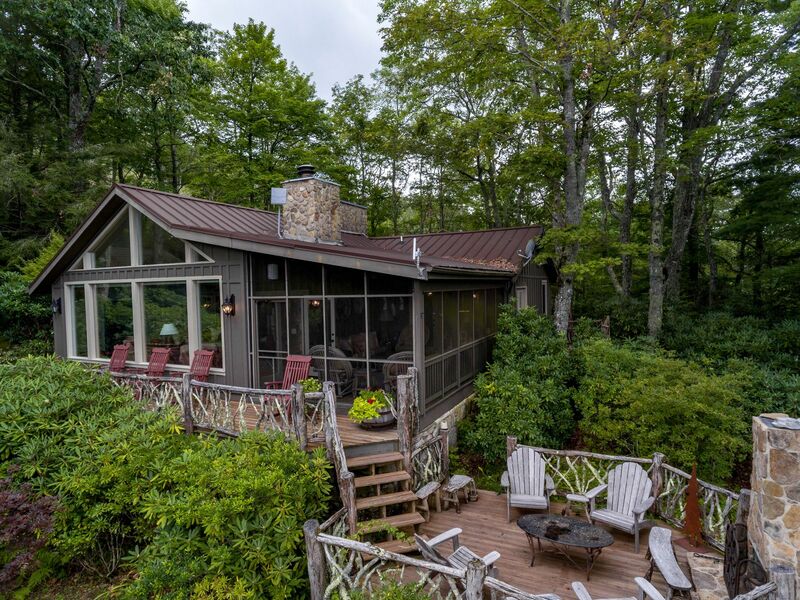 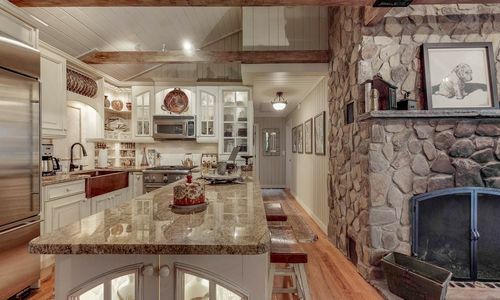 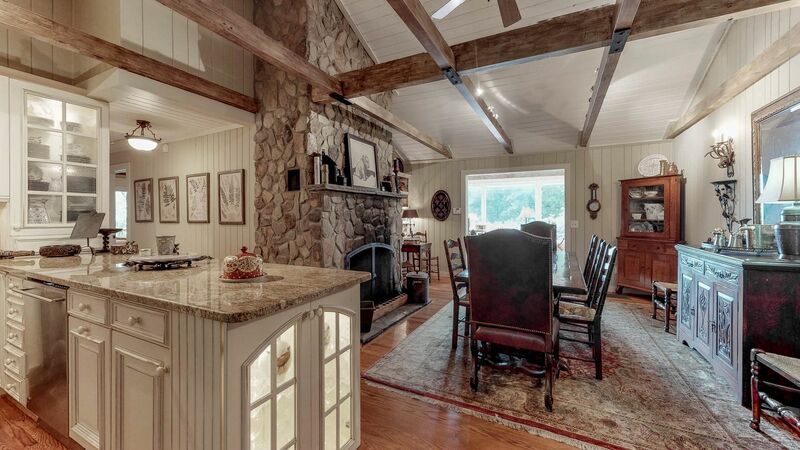 This wonderful cottage was renovated and sits up high on the land to maximize the mountain views. 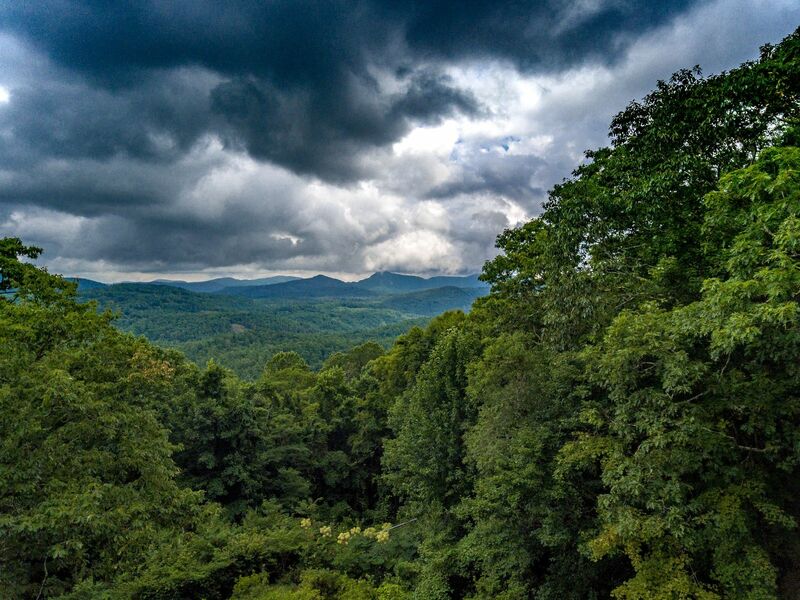 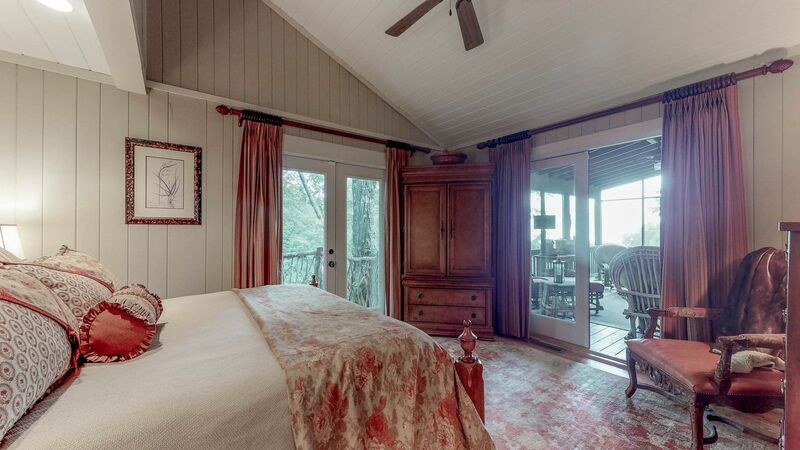 There is a stone pathway to the front door and when you enter you will be captivated by the view and the charm. 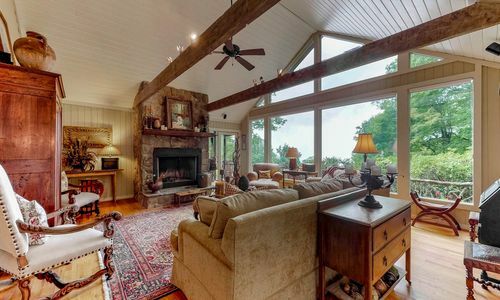 The vaulted, beamed wood ceiling and gleaming hardwood floors set the tone to frame the beautiful mountain view while the floor to ceiling stone fireplace is the focal point in the large living room. 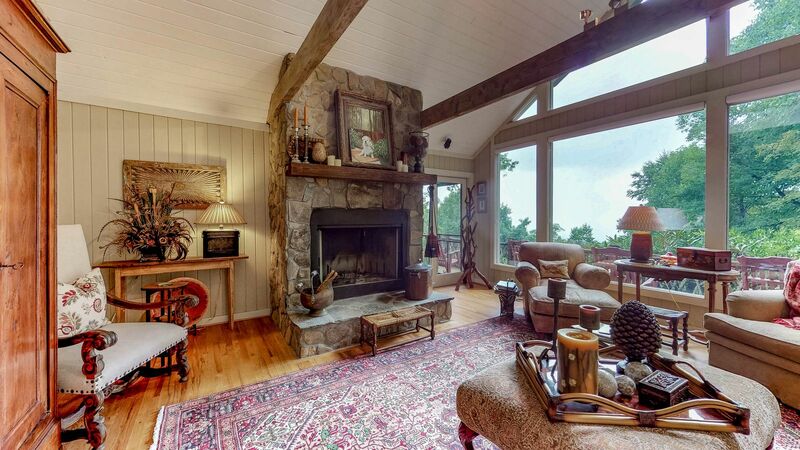 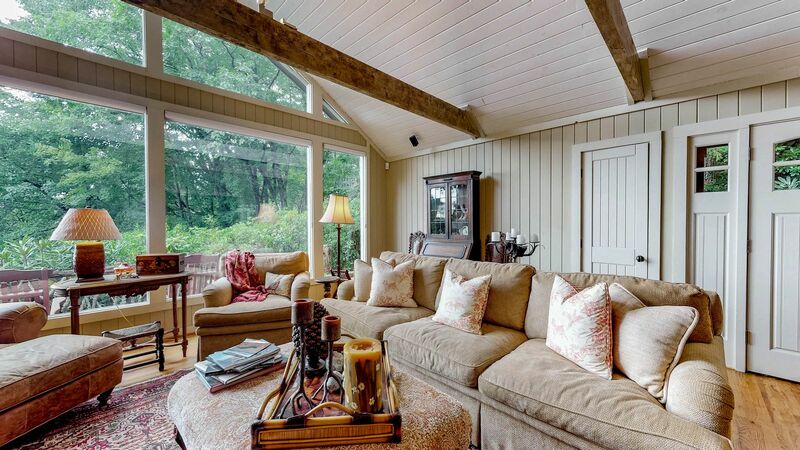 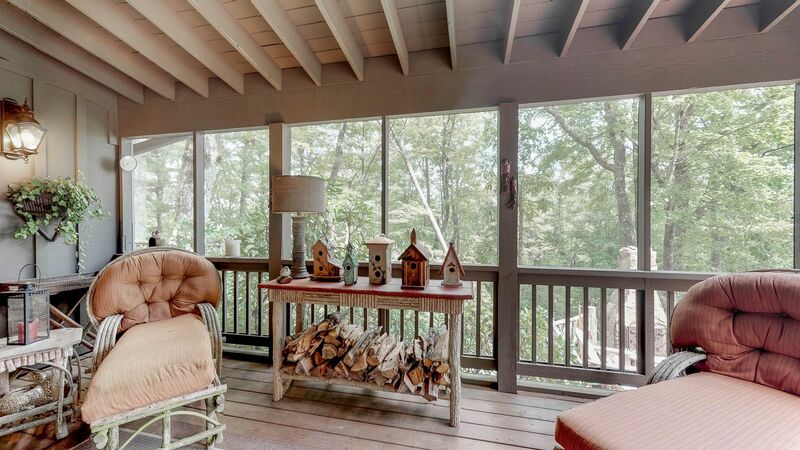 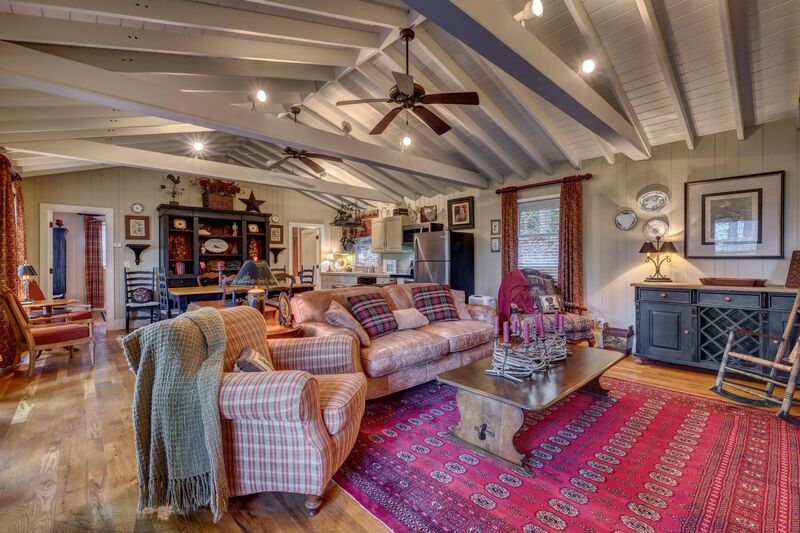 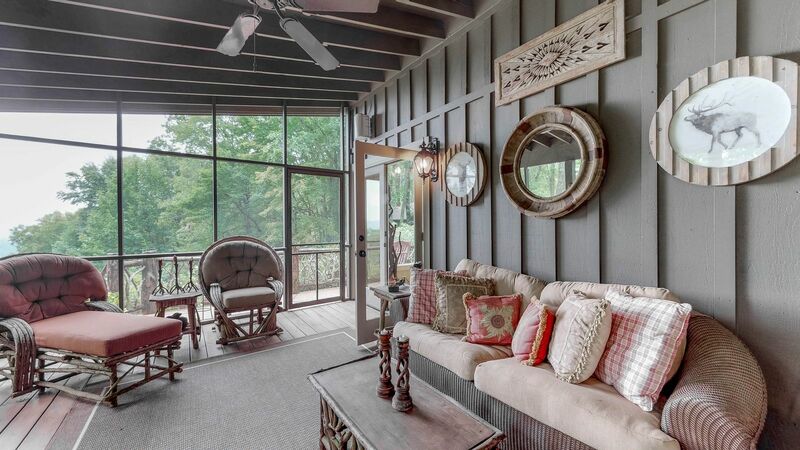 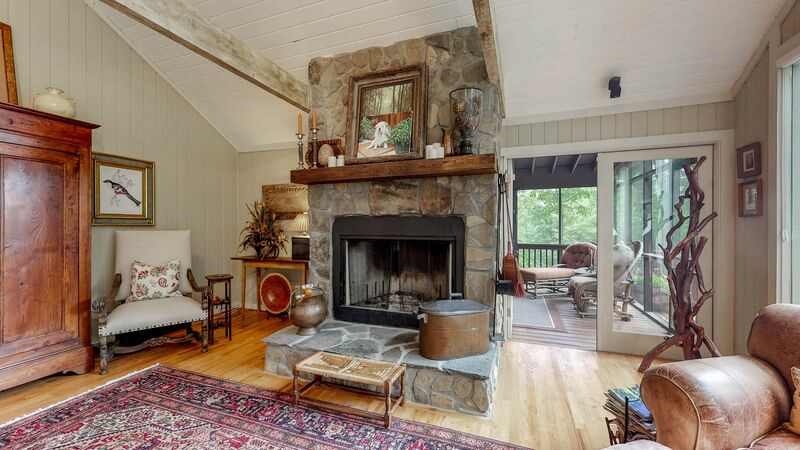 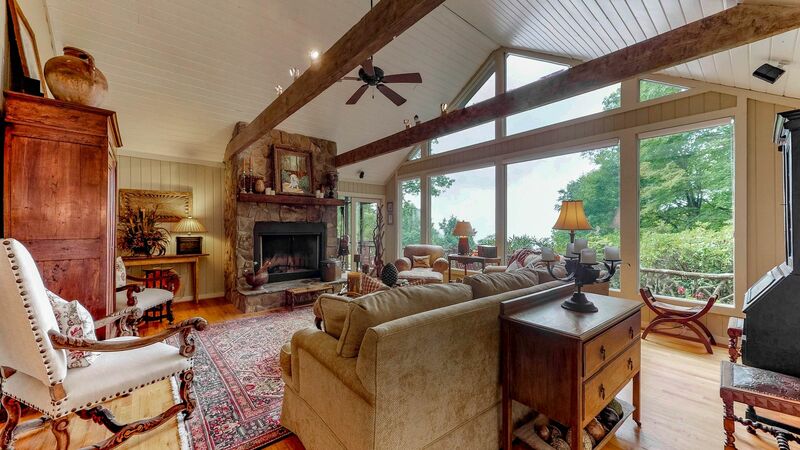 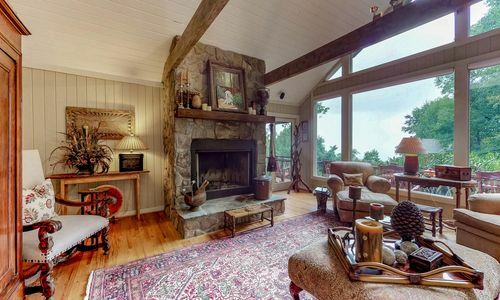 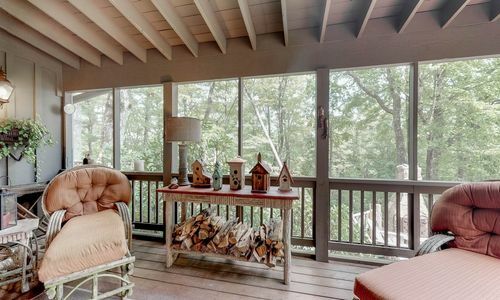 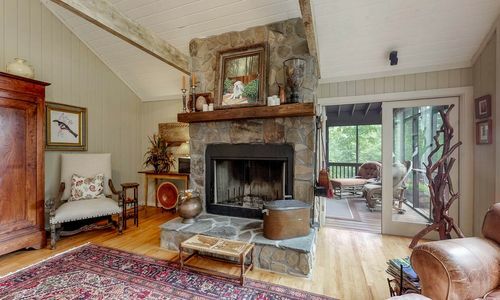 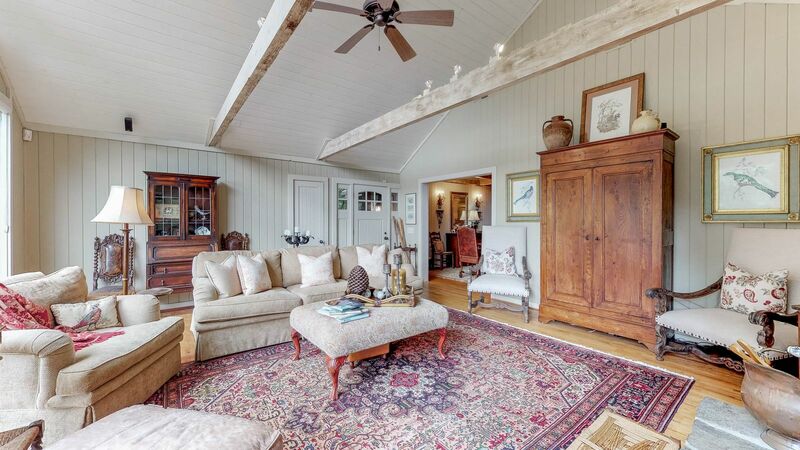 The living room opens to a spacious screened porch and a step down outside fireplace deck. 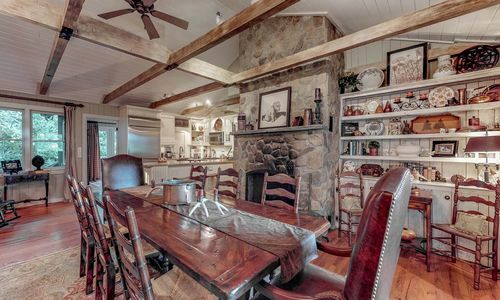 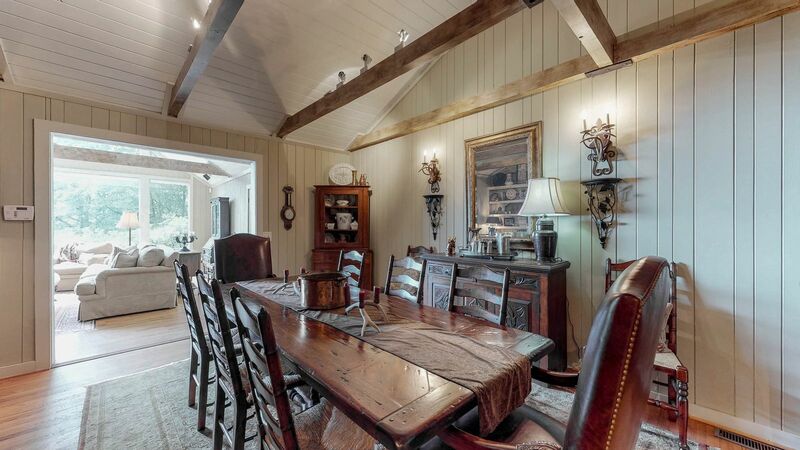 Dinner by the fireplace in the dining room will enchant your guests. 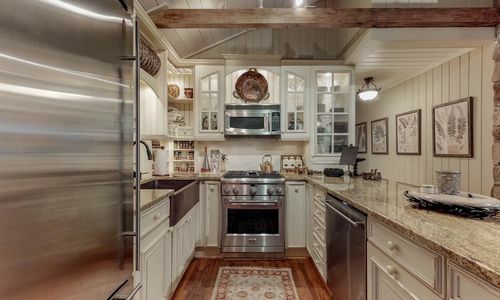 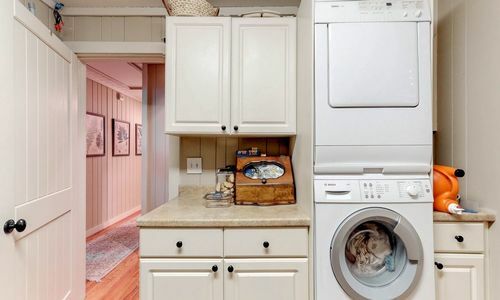 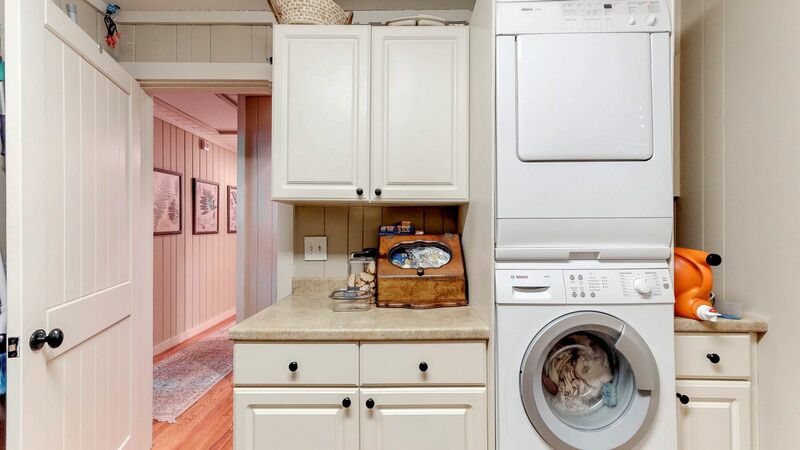 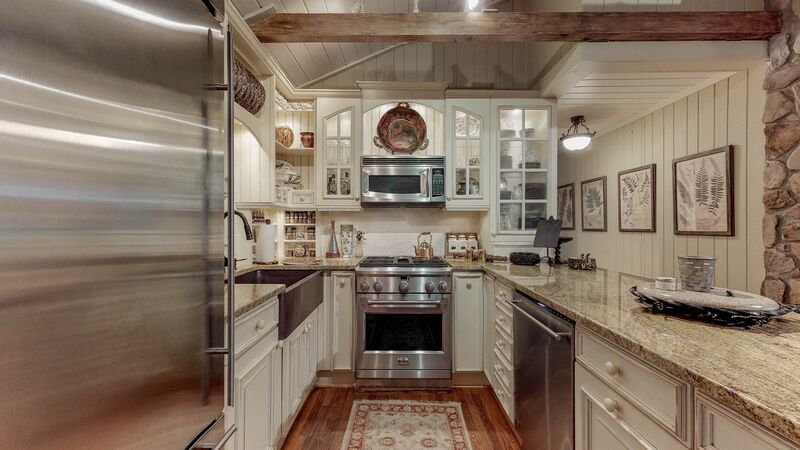 The kitchen is renovated and boasts painted and glazed cream cabinets with stainless steel appliances and beautiful granite plus a copper sink. 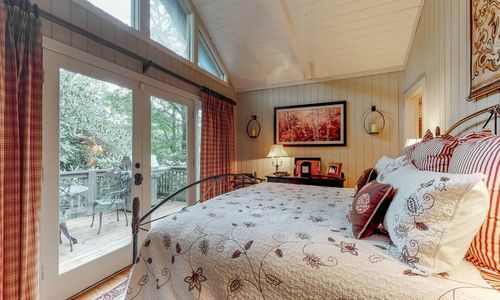 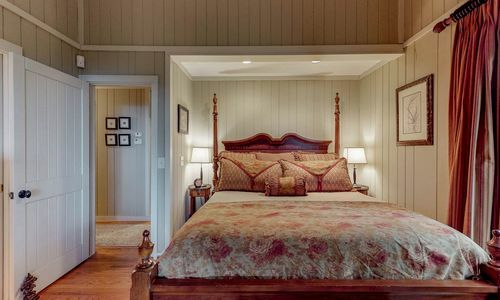 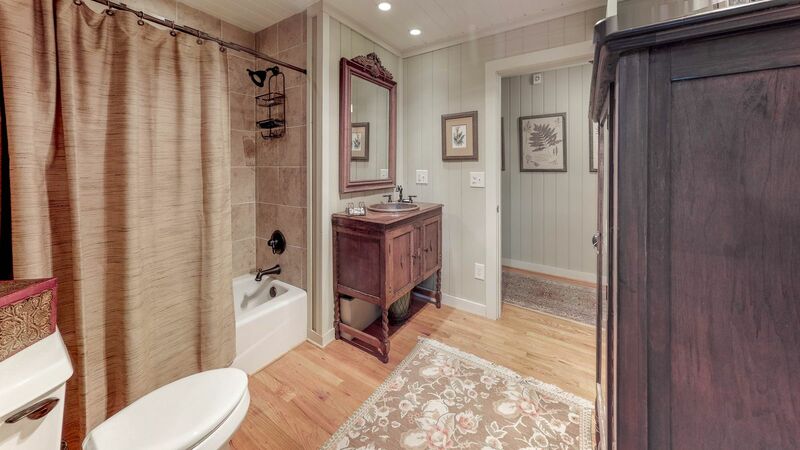 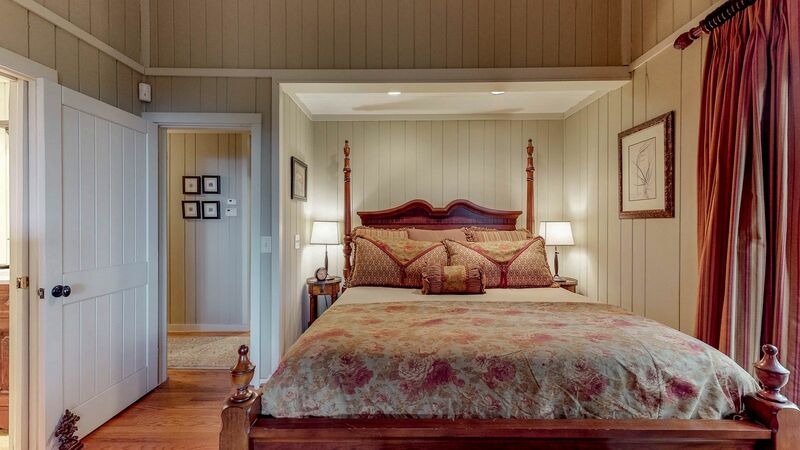 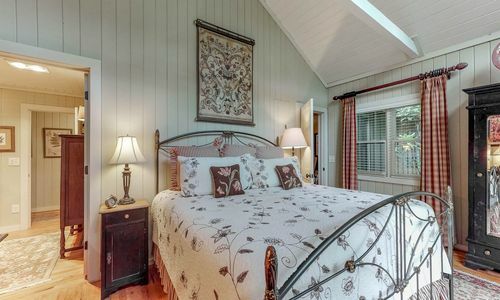 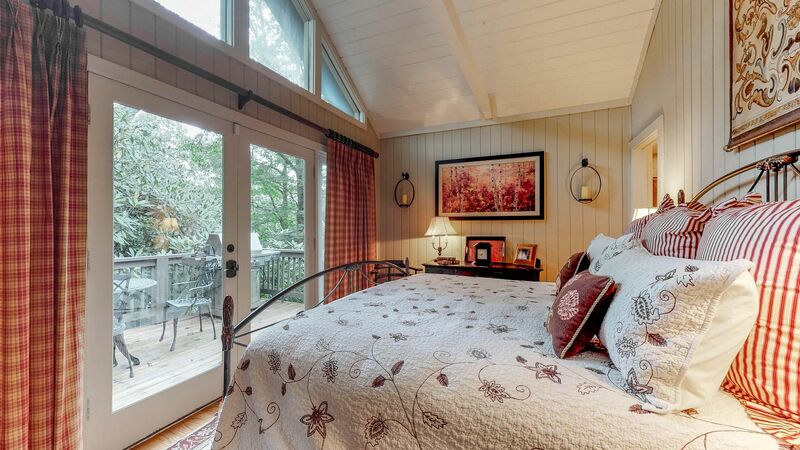 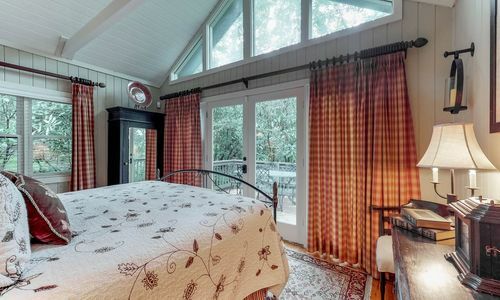 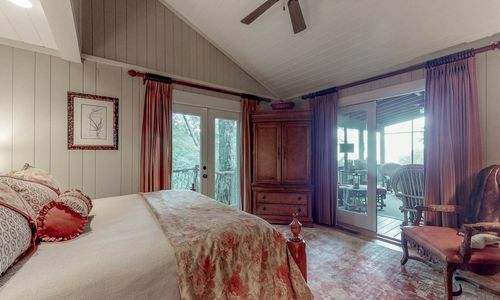 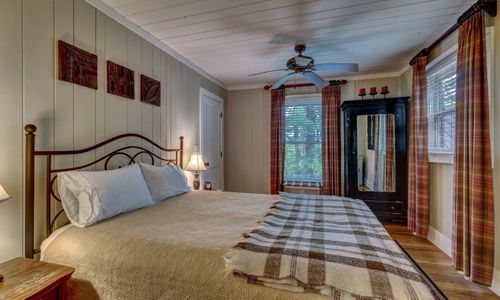 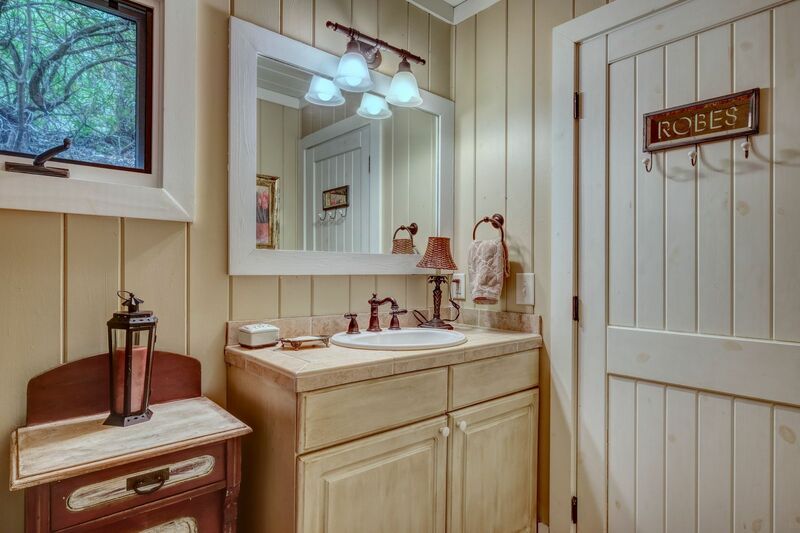 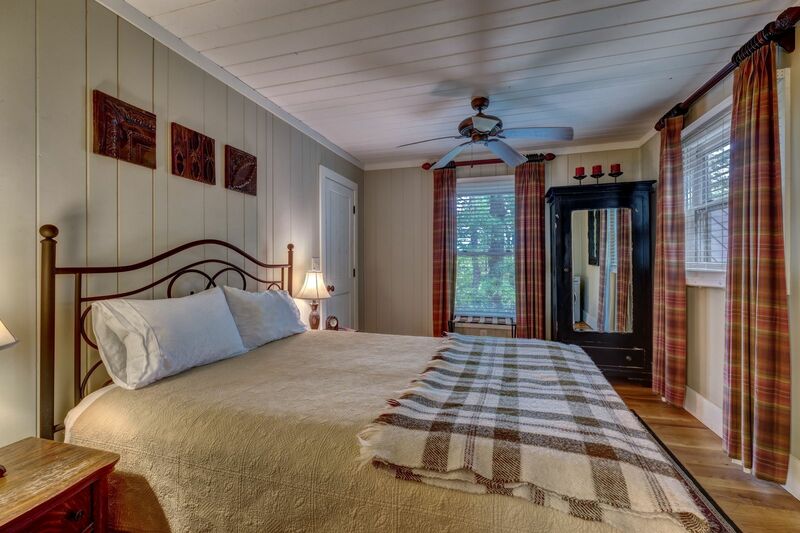 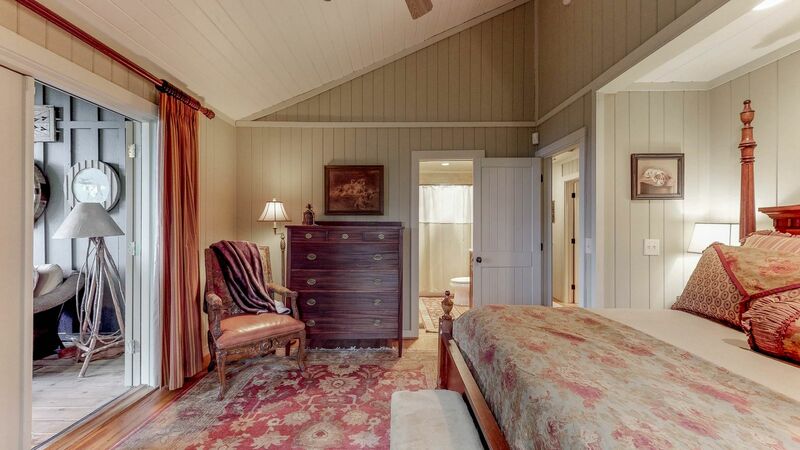 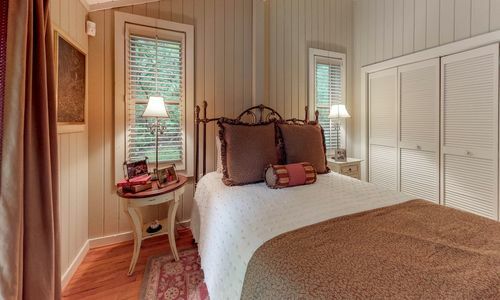 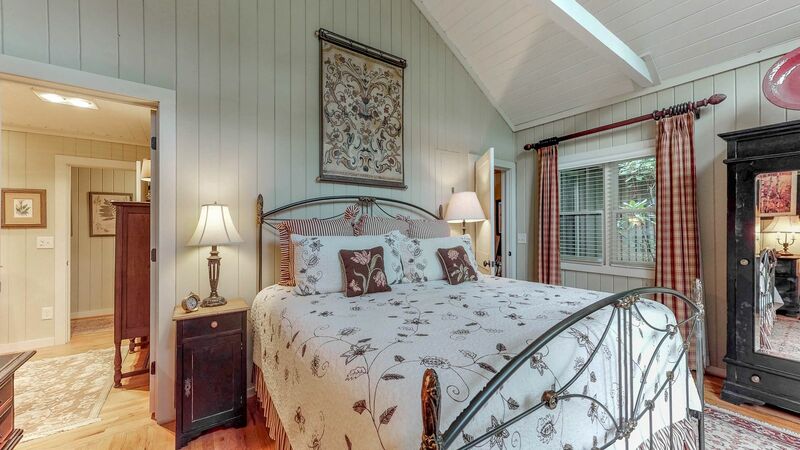 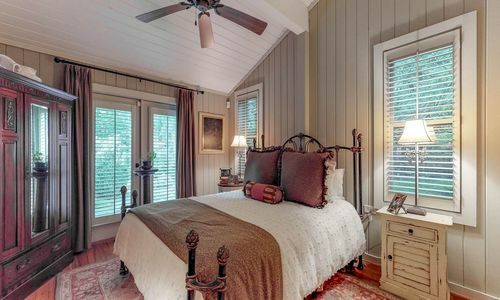 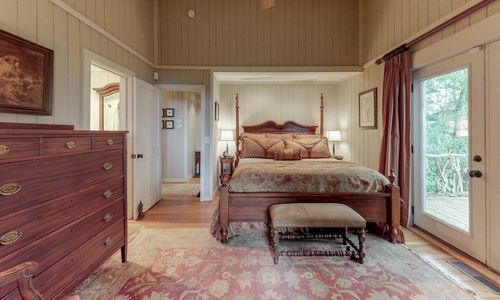 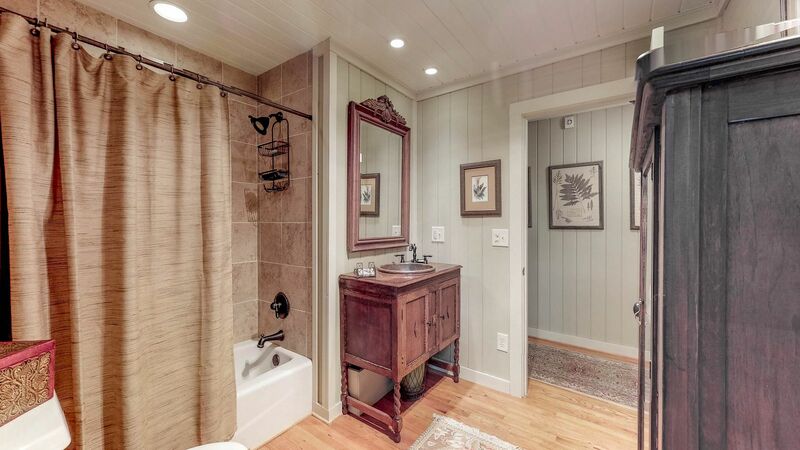 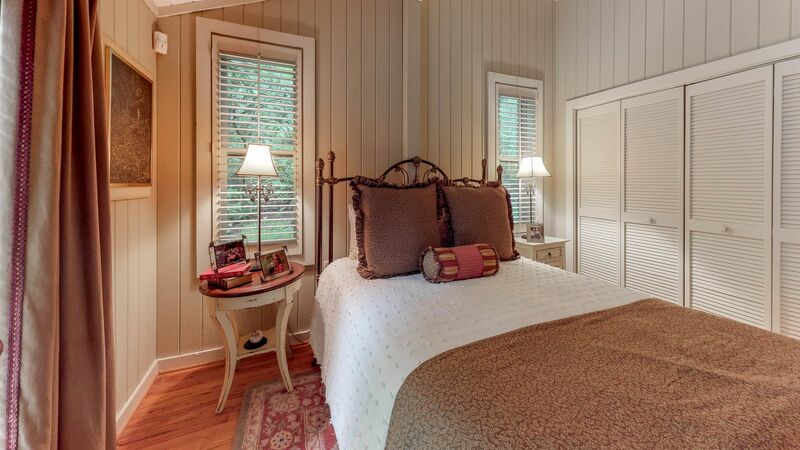 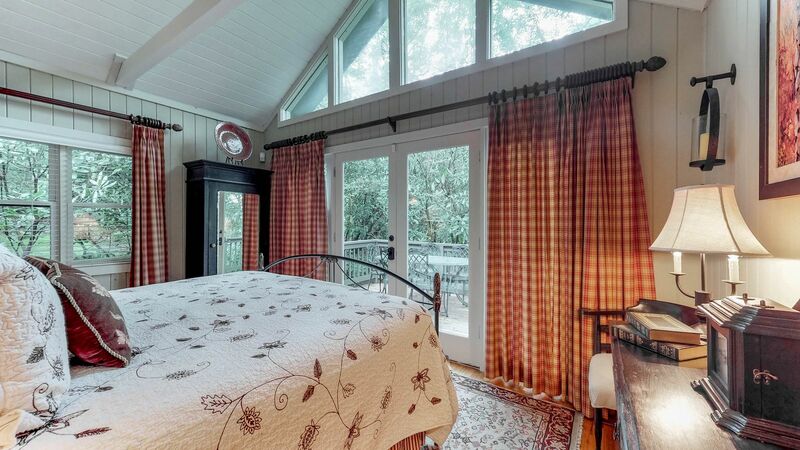 There are two gracious guest room suites plus the master which opens to the screened porch all on one level. 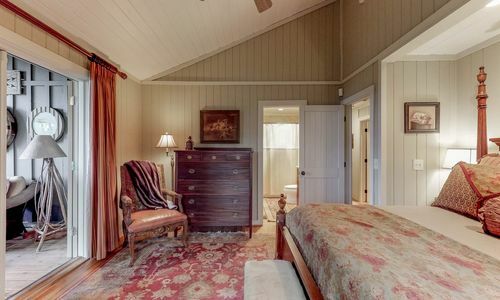 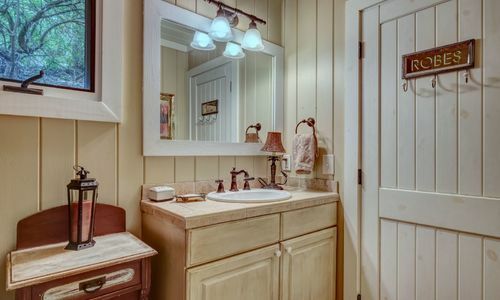 In addition there is a lovely one bedroom guest house with a large greatroom complete with kitchenette and a covered porch. 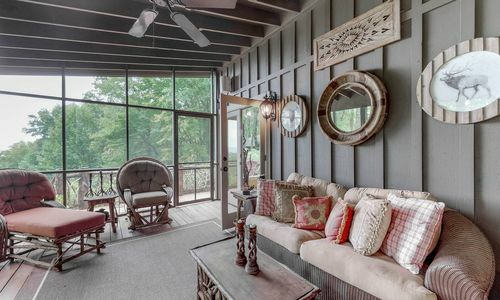 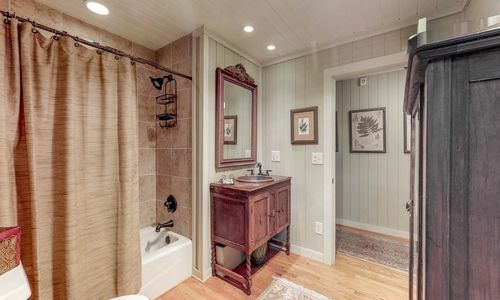 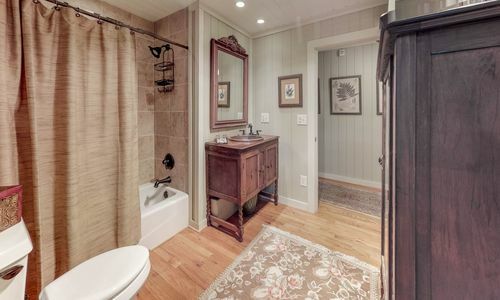 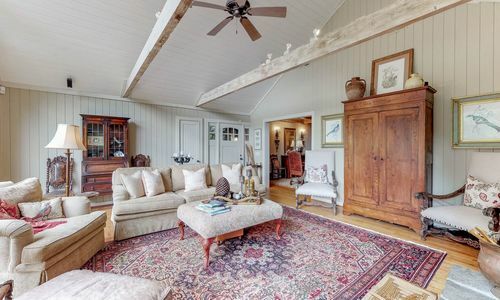 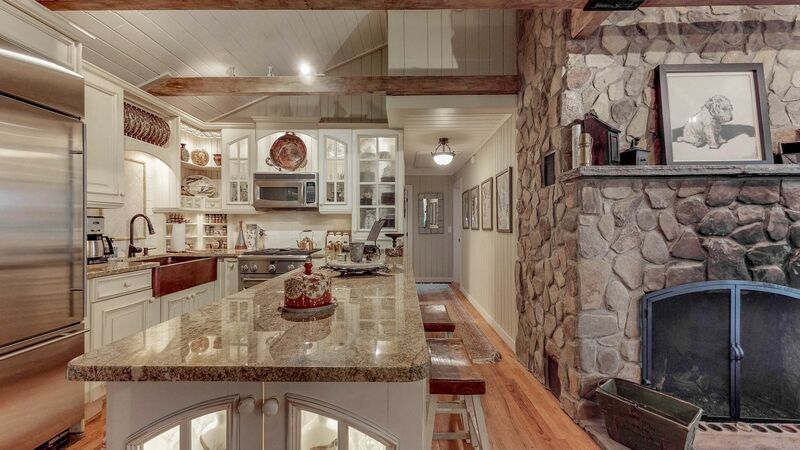 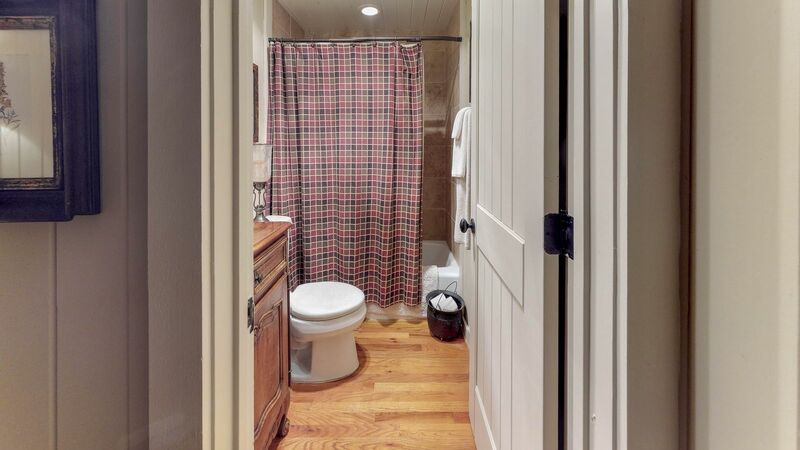 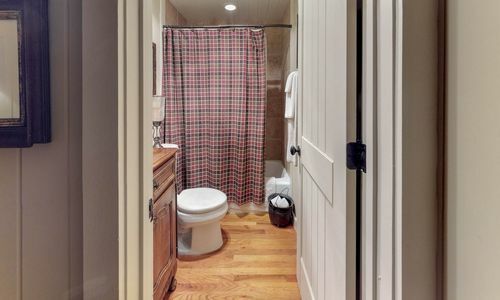 This would make a great rental or the perfect spot for family and friends to have their own private space.